Phoenix Law Enforcement Association > PLEA News > Management and Supervision Survey Results Coming Soon! 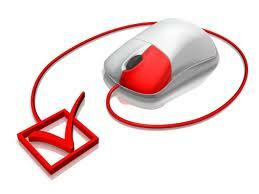 Management and Supervision Survey Results Coming Soon! PLEA’s first annual management and supervision survey officially closed at midnight on Sunday, February 18, 2018. PLEA would like to thank all who took the time to participate. We had an impressive participation rate of 42.7% of the membership. Moving forward, we believe this annual survey will be a very important tool to provide valuable feedback to police department and city leaders on how the rank and file rate various topics and department supervisors. PLEA has been in contact with 911Media who is in the process of tabulating results and formatting the final report. Due to the volume of information collected it could take another 10-14 days to have a report available for publication. We will keep you posted.